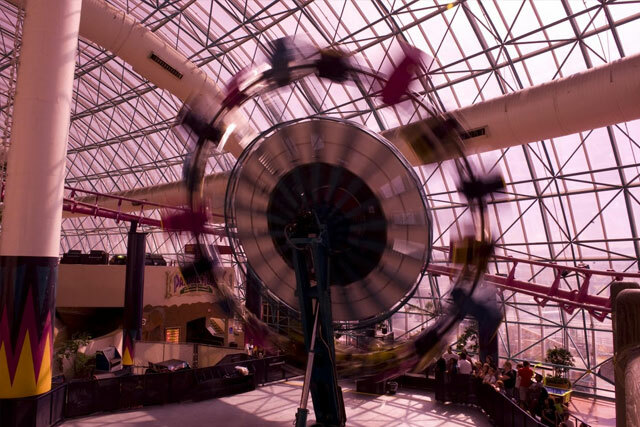 The Adventuredome might look as if it's for kids on the outside with the bright pink exterior, but inside you will find enough excitement, thrills, and adrenaline pumping activities for just about anyone. The Park promises a little something for everyone no matter how young or old the members of your family might be. Under the roof of the Park, you will find a full blown theme park. One of the most popular rides is a high flying rollercoaster called the Canyon Blaster. 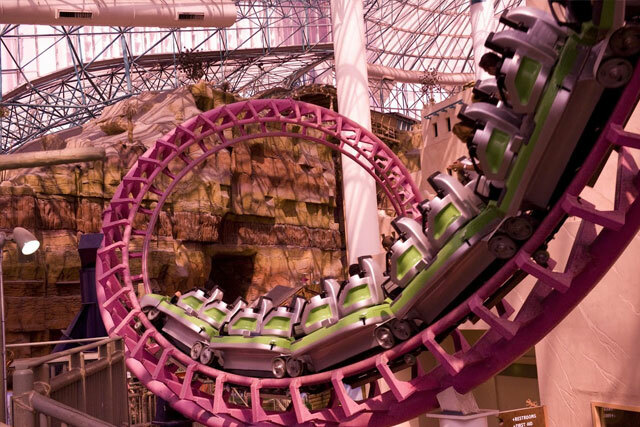 Like the Adventuredome, the Canyon Blaster is completely unique. In fact, this is the only rollercoaster in the entire United States that can offer a double loop and double corkscrew track. It's no wonder this is one of the most popular rides. 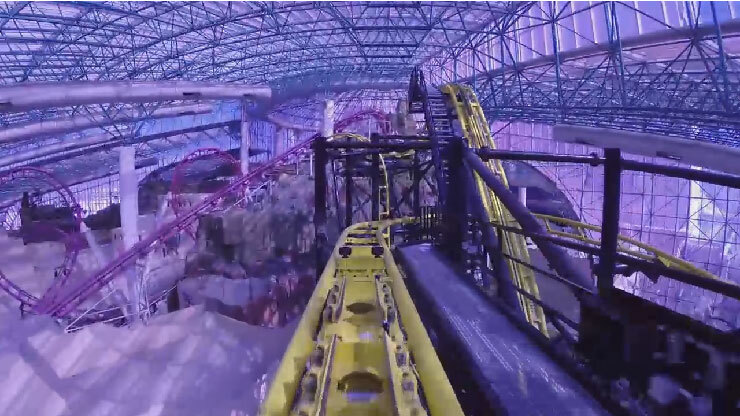 One of the newer rides, The Sling Shot, is available right when you walk in the doors of the Adventuredome. You might want to eat lunch after you ride The Sling Shot otherwise you might end up wearing your lunch. The Sling Shot accommodates 12 passengers that are strapped in the car that allows their feet to dangle. The car rockets up a 100 foot tower at an amazing 4 Gs of force. Once near the top you crawl up the rest of the way and then free fall back down. It ends up being one amazing ride. The Rim Runner is available for people who want to experience getting soaked in a water ride. Other options for speeding and twisting adrenaline rides include the Inverter, which will take you 50 feet up only to flip you 360 degrees and leave you hanging upside down and the Chaos which spins you every which way you can imagine more than once. 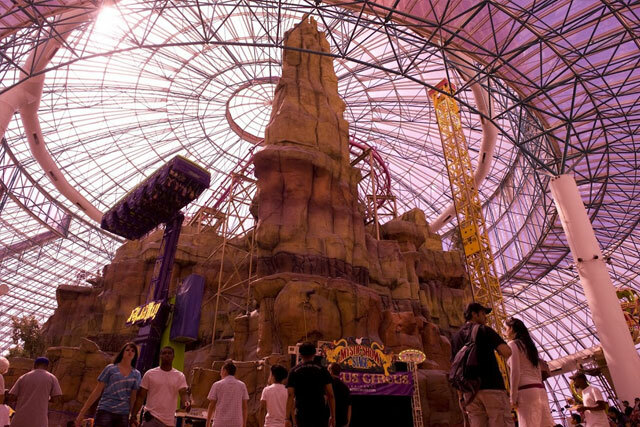 If you're not as adventurous, the Adventuredome still has something that is suitable for you. Check out one of the IMAX Ride Films. The Fun House takes you through the journey of a crazy clown. You will see all of the good and demented parts of his fun house amongst other things. Once you're done enjoying the rides there are still plenty of things to do. Other non-ride options in the Adventuredome include laser tag, bumper cars, an arcade, and miniature golf. Don't forget to check 4D Special FX Theater. 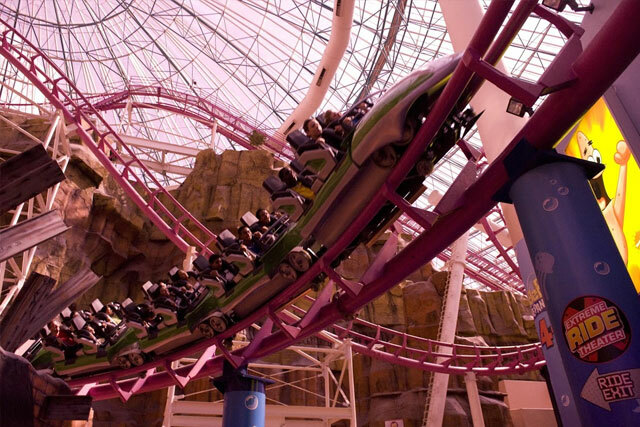 Adventuredome was the best place I have been to I always go there every year!